Join us for our Annual Walk for Life in Battle Creek! *Registration will begin at 8:45 am. Be sure to arrive early to officially register and turn in your pledges. We are looking forward to joining together to Walk for Life and to have a great time! Post-walk events include kids games, teen & young adult activities and more. Please be sure to join us for this fun family event! Teams can choose from the family/individual incentives or team incentives. teams that raise $5,000 will receive both the team incentive and the individual/family incentives. 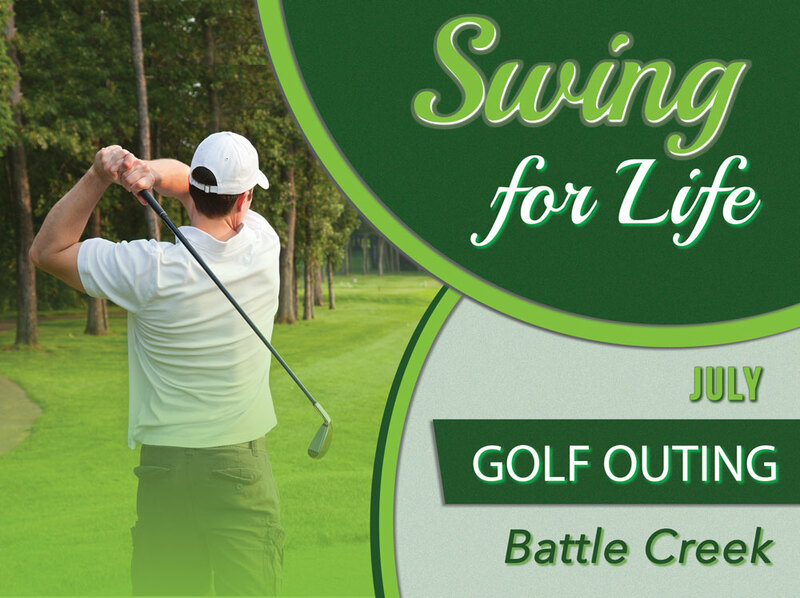 The Swing for Life golf outing provides a fun outdoor opportunity to raise funds for Alternatives of Battle Creek. Entry to participate in a four-person scramble includes a cart, snacks, and lunch. Businesses have the opportunity to sponsor the Swing for Life which provides acknowledgements and golfer gifts.